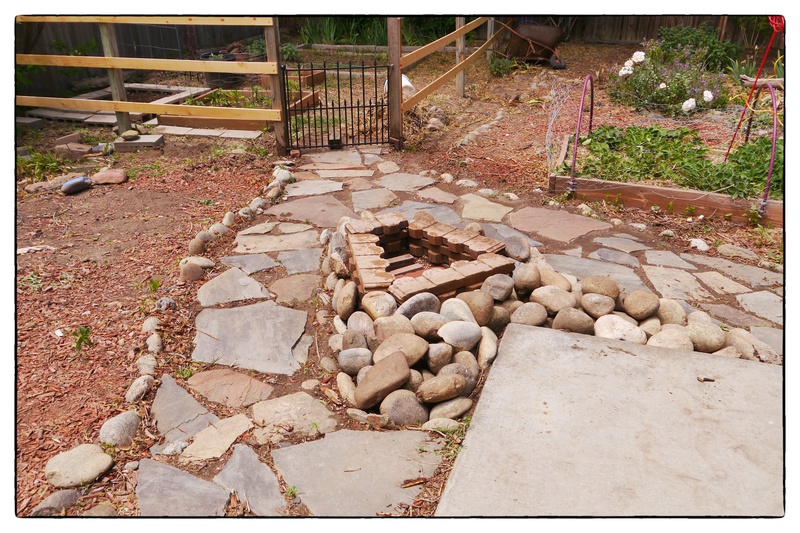 Take an awkward space between two stone paths and make it into something pretty. It had been an overgrown mish-mosh of plants growing onto the patio. Use all the edging brick I had taken up when I removed two of the flower beds in front. Use up as many of the landscaping rocks that litter my backyard as possible. And by litter, I mean they are EVERYWHERE. Cannot dig a hole or walk across the yard without running into one…or five. 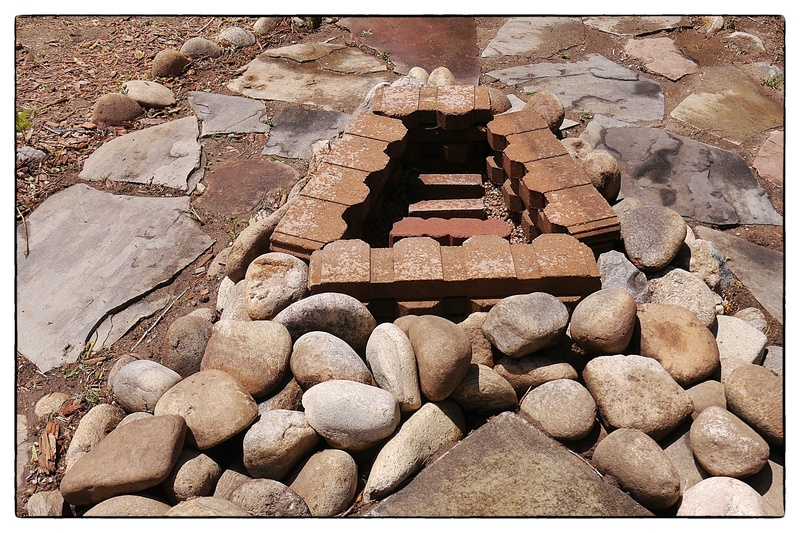 Create a pretty fire pit. Thank you! Can’t wait to use it.